May Impossible Space Machine Work? 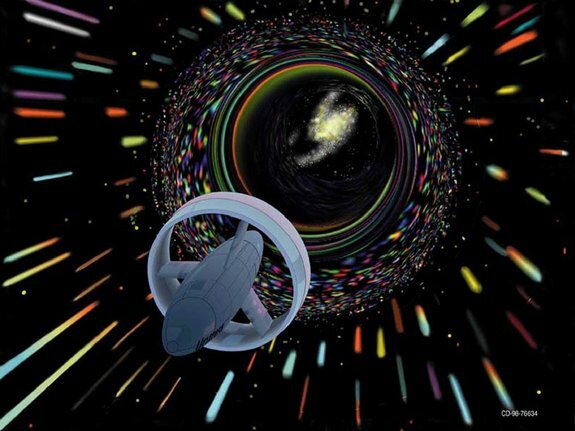 Researchers at NASA’s Johnson Space Center claim that they found the EMdrive (Electromagnetic thruster / RF resonant cavity thruster) with no fuel, generates a very small amount of thrust. If the findings are correct, this is a very important development for the future of space transportation. However, this is an obvious violation of the conservation of momentum law. As the law states, there will be no change in the total linear momentum in a closed system. If there is an action, there will also be an equal and opposite reaction in order to stabilize the system. I do not blame the researchers, but I am still at the side of the sceptics. I believe in the conservation of momentum law. Without adding some extra energy, you can not obtain any extra reaction. If you break the total stability, it means that you will harvest a continuous energy gain. If that occurred, all stability would be decayed.